PRICES ARE ACTUALIZED BY THE RUBLE COURSE on May 21, 2015 (0.45 CPC). PRICES MAY CHANGE. REFINE AT THE BOOKING. 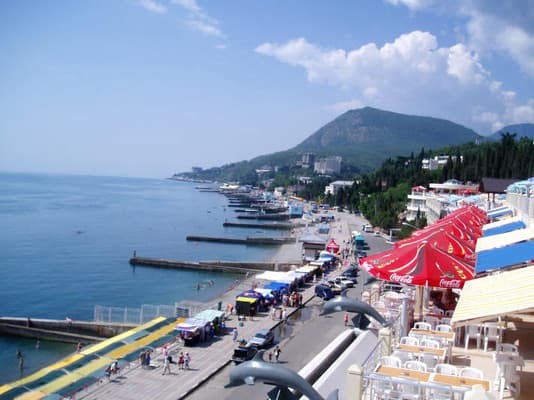 The hotel "Mechta" is located 300 meters from the sea and is hidden from prying eyes, noisy roads and bustle of the embankment, which will give a real pleasure from the rest in the Crimea. On the territory of the sanatorium "Dream" there is a playground, tennis courts, swimming pool, which makes it attractive for families with children. Along the embankment 20 minutes walk to the center of Alushta. Guests are offered 9 comfortable rooms. 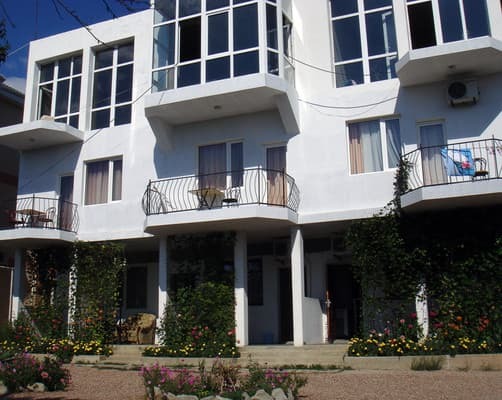 Each room has access to a common cozy, green courtyard. On the balconies there are tables with chairs for rest. In the yard of the sector there is an opportunity to supply 4 cars. 500 meters from the hotel there is a water park. Description of the room: In the room: double or twin beds, wardrobe, bedside table, as well as everything you need for a comfortable stay. Description of the room: In the room: double bed, wardrobe, bedside table, table with a chair, as well as everything necessary for a comfortable stay. There is a possibility of placing the third person on an additional place (a folding sofa). 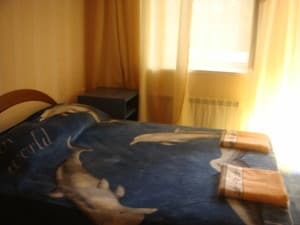 Description of the room: The room is for 2 people with the possibility of extra bed. The room is equipped with furniture, a double bed, a fold-out couch, a split-system. From the room there is an exit to the common cozy green courtyard. On the balcony there are tables with chairs for rest. "Dream" is located 300 meters from the sea, 500 meters from the water park, 100 meters from the bowling center, 500 meters from the Medical Spa Center, 200 meters are shops, cafes, a grocery market, along the waterfront 20 minutes walk to the center Alushta. GPS: 44.654963,34.400387. To Simferopol, then by bus or trolley bus to the bus station of Alushta, then by trolley or bus to the Professorial (Work) Corner, Komsomolskaya Square - from it 150 m to the sanatorium "Alushta", "Dream" is located near this sanatorium.